These shirts feature vibrant color and the right words! Your youth will want to wear these 24/7. 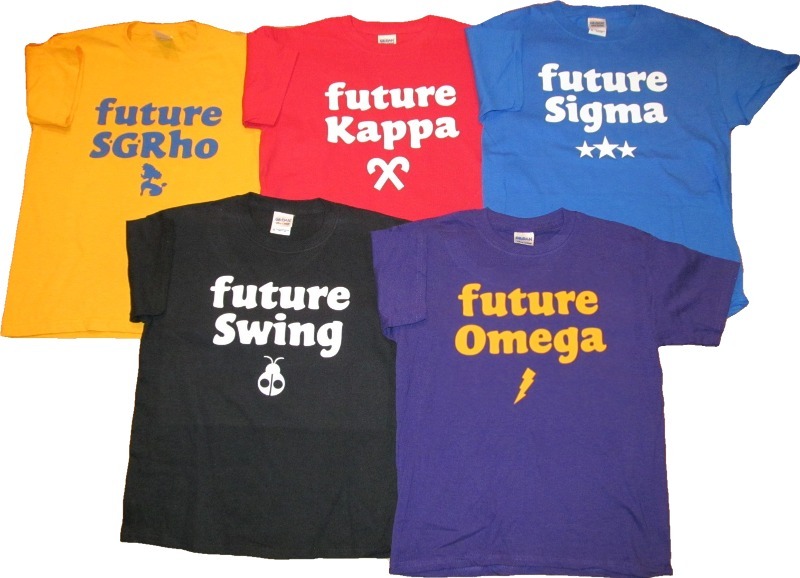 Shirts shown are "Future Greek" wording. "Greek Legacy" tees will say..."Gamma Legacy", "Alpha Legacy", etc.